Online stream anime episodes, Watch Naruto Shippuuden Episode 146 English Subbed online and free episodes. Anime Episode guide, Chapter Naruto Shippuuden Episode 146 English Subbed The Successor’s Wish Hotaru’s uncle shows her to her room, where she is ambushed by the bandits. They are trapped and Hotaru escapes into the forest, but the bandits catch up to her. Utakata saves her, and the bandit’s leader shows that Utakata is being hunted for 50 million ryo. Utakata and Hotaru land in a secluded place where Hotaru shows him something on her body. Suddenly Mist Tracker Ninja attack Utakata and take Hotaru hostage. 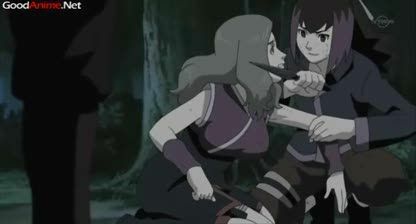 They tell Hotaru that Utakata killed his former master. Naruto soon arrives with Yamato and Sai. 3 / 5 - 6 ratings.